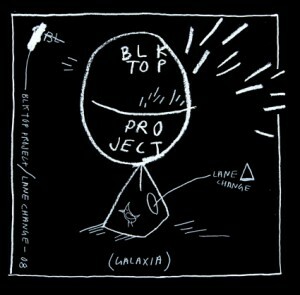 Friends / musicians / skaters Tommy Guerrero, Ray Barbee, Matt Rodriguez, and Chuck Treece have joined together again as Blktop Project. Lane Change is the follow-up to the self-titled debut EP that they made while on a skate road trip with Slap magazine. The four enjoyed working together so much that they decided to record a full-length album. Lane Change takes over where the EP left off. Funk, soul, latin, afro-beat–you name it, these guys put it together perfectly. The album was recorded in San Francisco by Monte Vallier at Ruminator Audio. Marc Capelle, “the fifth Blktop” (who has collaborated with Grandaddy, John Doe, Mark Eitzel, etc. ), played some horns and keys.